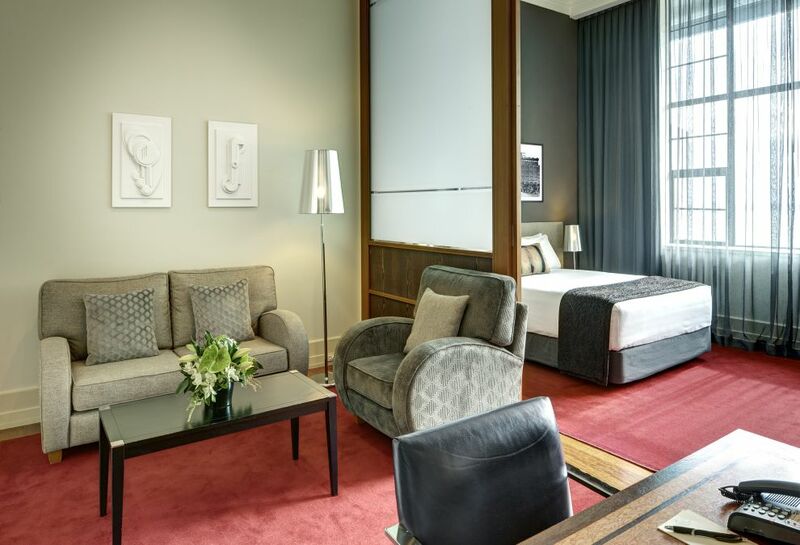 Choose from two distinctive wings; The Hotel wing honours the building's heritage by maintaining a traditional art deco style, while the Tower wing's contemporary design best fits the practical demands of the modern traveller. 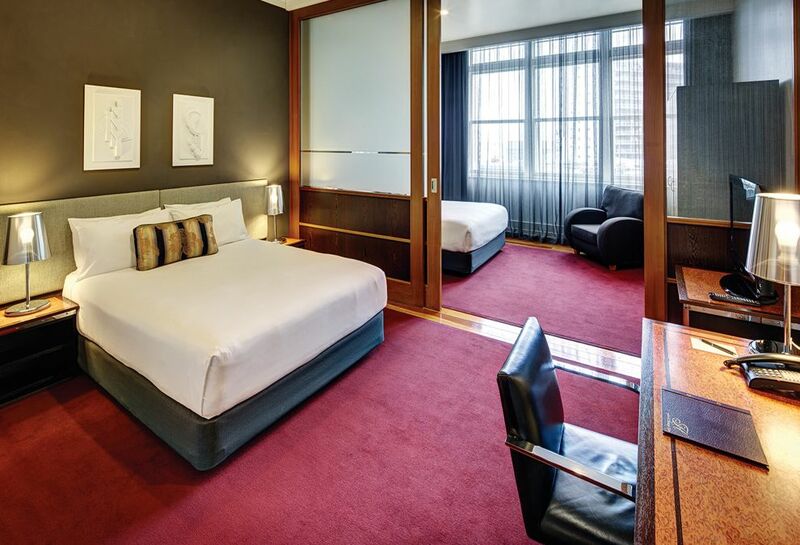 The 47 square metre Deluxe Suite offers all the conveniences of a hotel room with the added benefit of Suite style accommodation. An excellent choice for guests wanting a little more space or a family on a weekend stay. 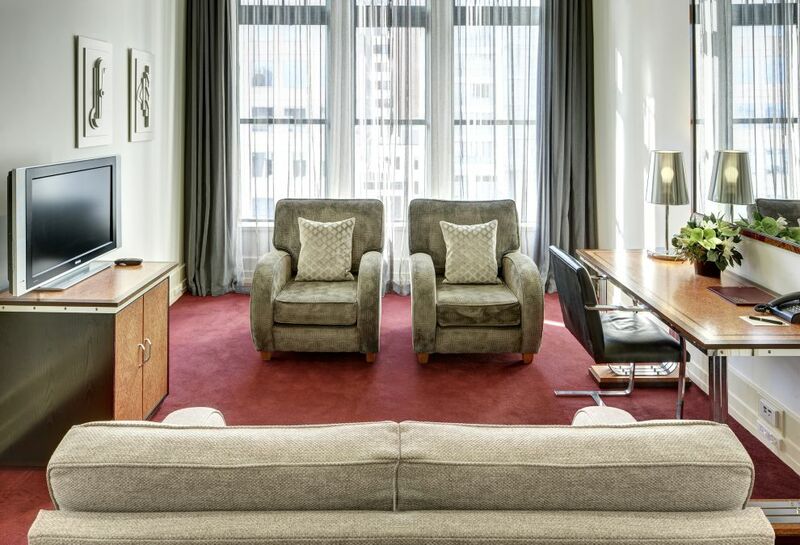 Amongst the largest rooms of their type in the city, within easy walking distance of the city's many attractions. 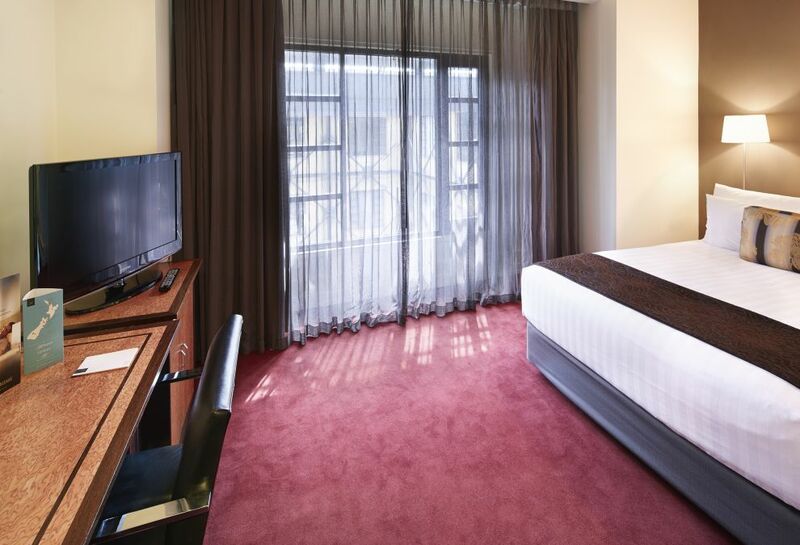 The 54 square metre Deluxe Suite offers all the conveniences of a hotel room with the added benefit of Suite style accommodation. An excellent choice for a couple wanting a little more space or a family on a weekend stay. Contemporary design in the stylishly refurbished Tower Wing. 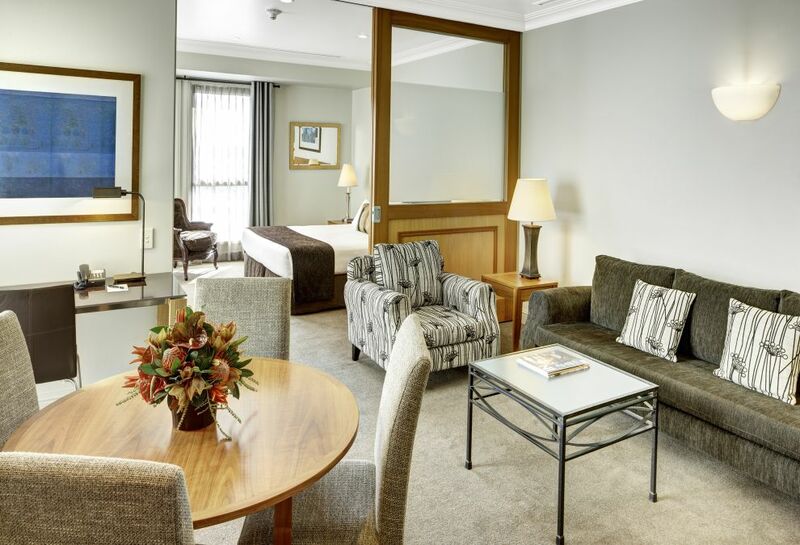 The 47 square metre Deluxe Family Suite offers the same facilities as the Deluxe Suite but with the lounge area replaced with a second bedroom. An excellent choice for a family wanting a little more space but at a more affordable cost than the full 2 bedroom suites. 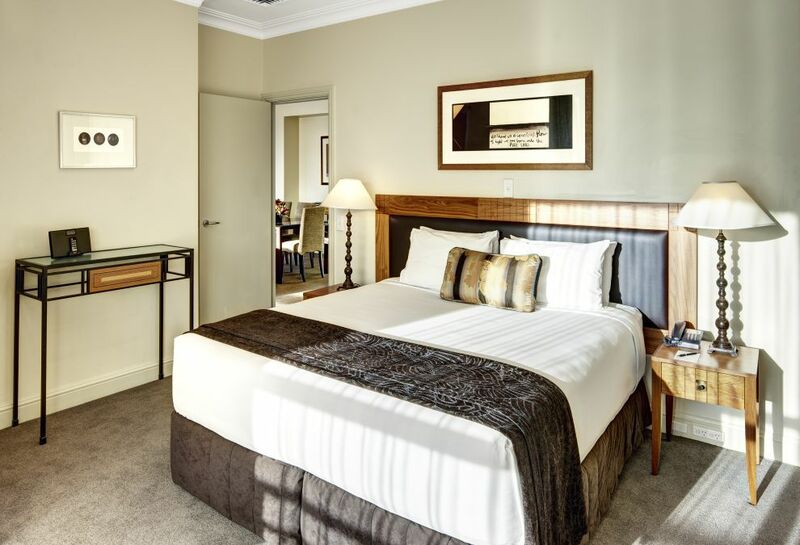 Whether travelling on business or pleasure, the 91 square metre Executive 1 Bedroom Suite is your home away from home, offering fully self-contained apartment accommodation. 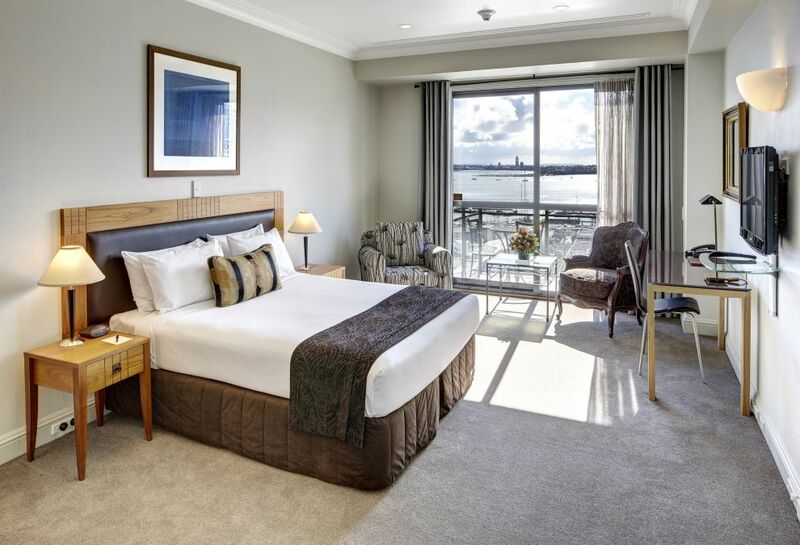 Contemporary design in the stylishly refurbished Tower Wing. 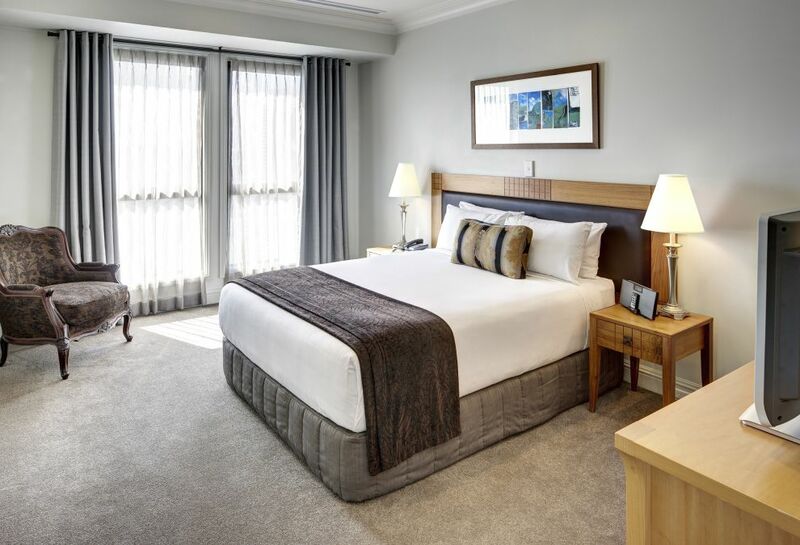 Whether travelling on business or pleasure, the 64 square metre Executive One Bedroom Suite is your home away from home, offering fully self-contained apartment accommodation. Full independent living in the heart of the city. 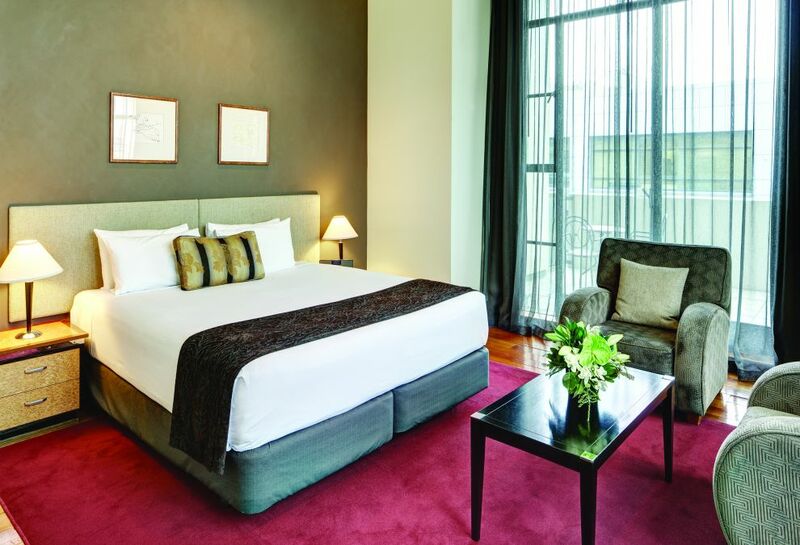 All the amenities and facilities of home coupled with the comfort and style of a luxury hotel. Immerse yourself in the 140 square metre Directors Suite, with an expansive living room, spacious two bedrooms, and outside space.